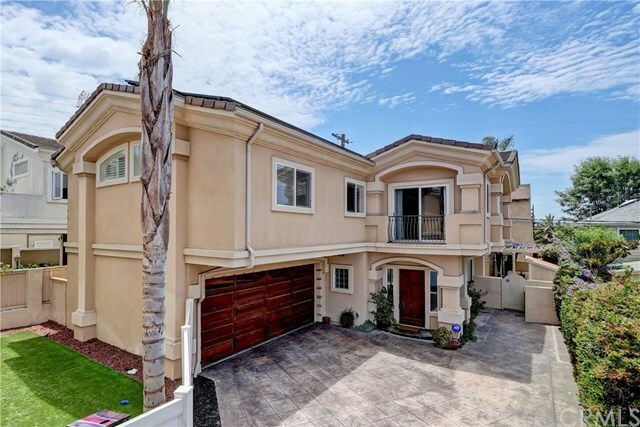 Beautiful, 4 Bedroom, 2.5 bath detached townhome, located in the heart of Redondo Beach. This spacious and open floorplan combine with a private backyard, complete with free standing fire pit and heated seating area, to create the perfect environment for entertaining. Countless upgrades across the home provide the buyer the opportunity to move right in and appreciate living in one of the most sought after communities in South Bay. The generous kitchen, expansive master bedroom and substantial master bath blend with numerous enhancements throughout the property. Walk-in closet, en-suite bathroom, fireplace, jacuzzi, solar panels, granite, marble and a 2 car attached garage... just to name a few. All within minutes of award winning schools, the beach, shopping and entertainment. This turnkey home is a must see.